This is quite a cool pic which we thought we’d share with you. 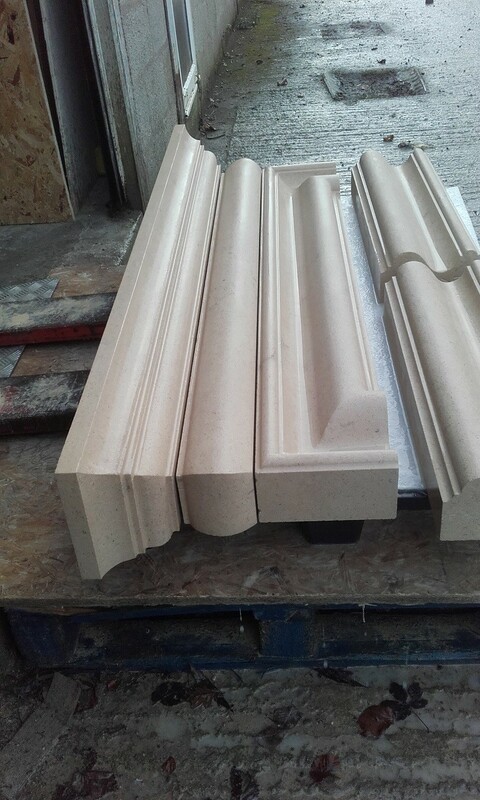 This is our Bolection fireplace which has just been carved and is now ready to be packed up and delivered to the customer. You can see the separate parts of the fireplace here. The installation of this fireplace is bit like a jigsaw puzzle, but a bit heavier!